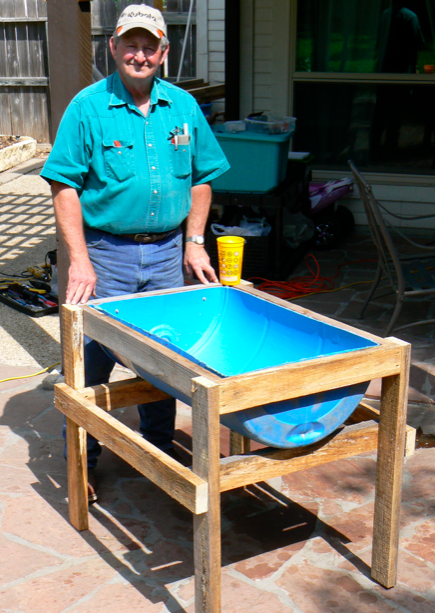 I had been thinking of building a feed trough style worm bed for some time. 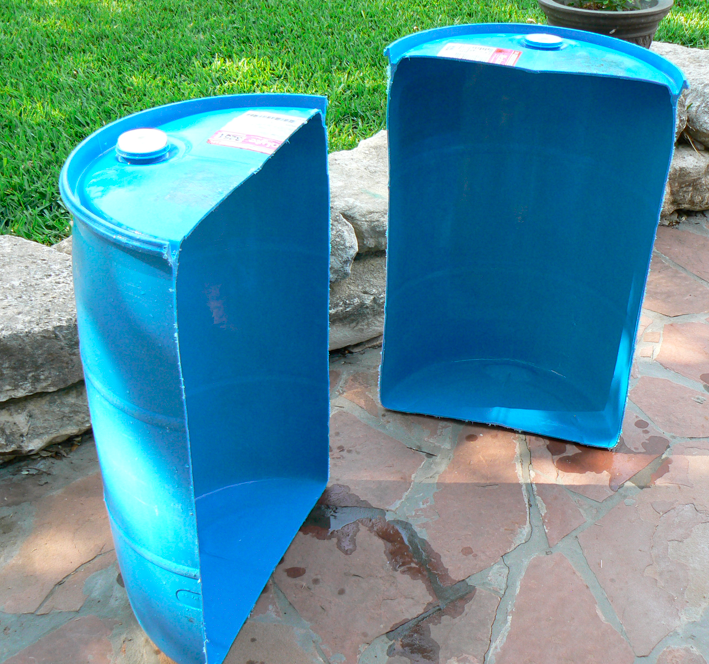 I found some plastic 55 gallon drums on Craigslist. My dad had some pine 2X4s cut from his saw mill, and we were in business. 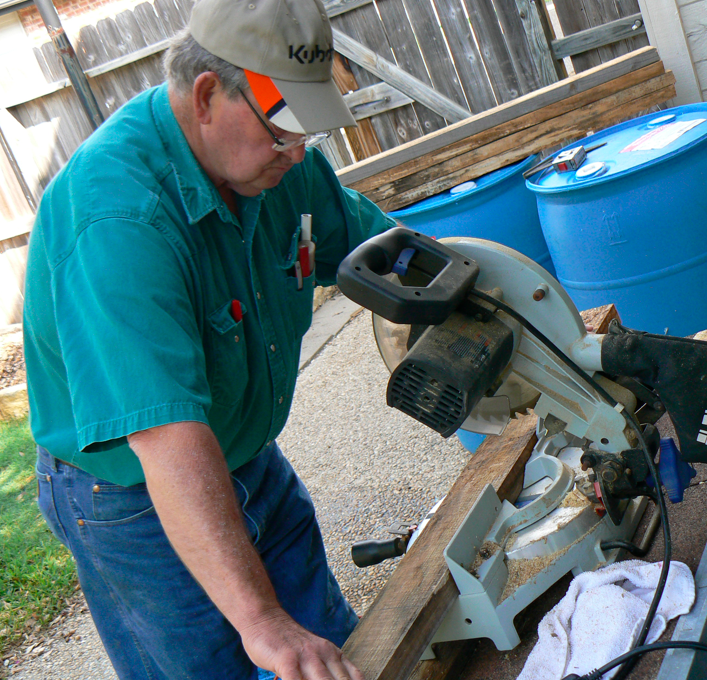 We began by cutting the 55 gallon plastic drums in half w/ a skill saw. Next we cut the 2X4s to border the open 1/2 end of the drum. 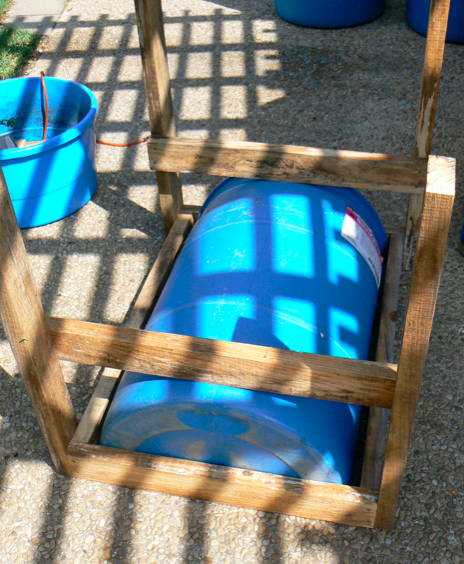 We used 3″ screws to piece the wood together, and galvanized roofing screws to secure the barrel to frame. The height off the ground, we sized to about waist high for ease of use and for clearance underneath. Thanks to my dad (pictured) for the pine, and skilled labor. 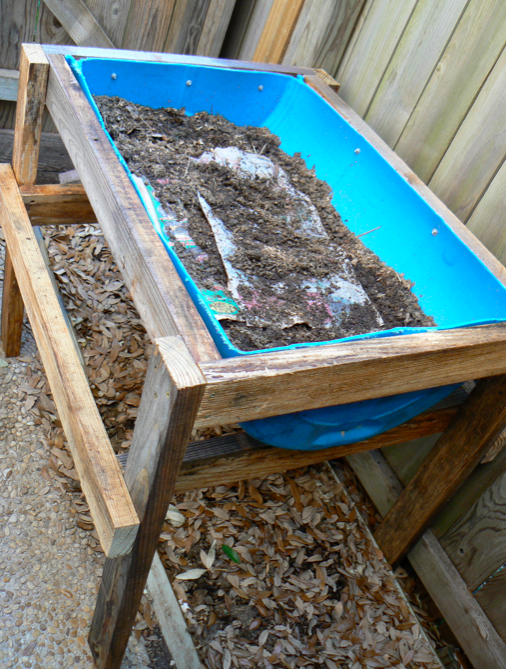 ← Add Alabama Jumpers, Red Worms to your soil or raised bed. Would this work for fishing worms the big nightcrawlers. An yes I have questions to ask to thanks. How do you manage the liquid in this bin? Do you have drainage holes in the bottom or do you just turn it regularly to control the moisture? 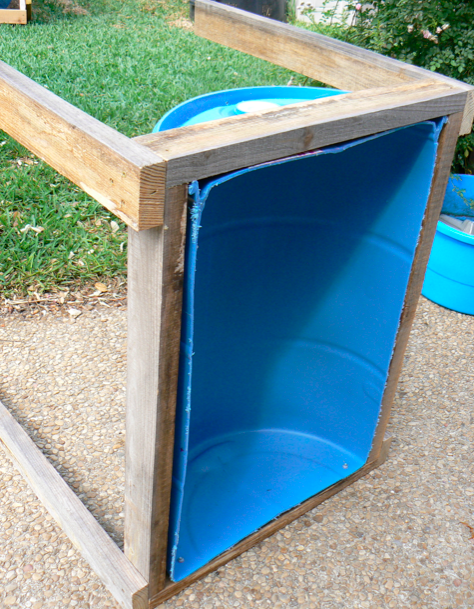 Fluffing and leaving a lid open will help dry up a wet bin. Was wondering how many 2×4 did u have to use and if I can have the measurements of the box please.